I wrote a book for the United Nations University, “The Violence of the Green Revolution,” which has been republished by many publishers globally, including the Kentucky University Press. Extracts from the book are available on Google. 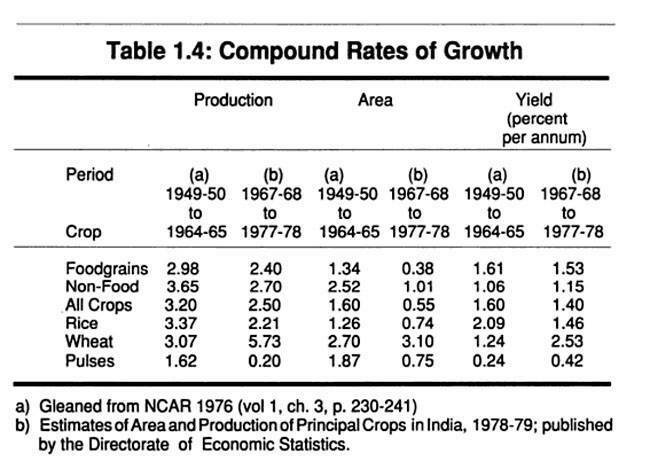 Aggregate crop production was higher before the introduction of the Green Revolution in 1967-68. My study was reinforced by the study done by Dr. Jatindar Bajaj, with whom I did MSc Hons in Physics from Punjab University in 1973. His study comparing pre and post Green Revolution performance showed that the rate of growth of aggregate crop production was higher in the years before the Green Revolution was introduced (1967-68) than after it. The Green Revolution did not save India from famine, as the proponents of Industrial Agriculture and GMO technology would argue, in fact the Green Revolution reduced India’s production. 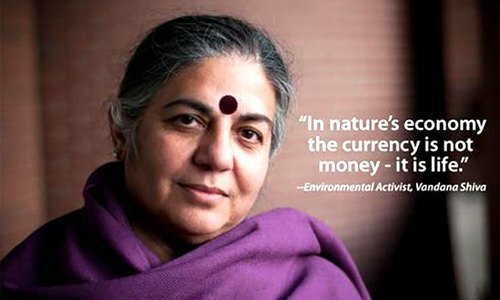 For more information about the Green Revolution read, Nothing Green in the Green Revolution in India Today. Here is our analysis establishing that our indigenous biodiversity and knowledge is far superior than Golden Rice to address malnutrition. Syngenta owns Golden Rice. It’s promotion as the fruits of public sector research are a blatant lie and an attempt to mislead people across the world. Further, the Golden Rice paper had to be retracted, any fabricated claims made based on the paper do not stand. The epidemic of cancer has affected the farmers of Punjab because of pesticides. It has affected farmers of West UP. In a single village, our recent field survey revealed that there were 100 cancer victims. The farmers are getting into debt and committing suicide buying the pesticides and the citizens are dying of cancer because of the same poisons. This is why we started the Anna Swaraj Abhiyan 2020 from Meerut, the sacred land of our first movement of independence. Our book Health Per Acre shows we can feed two India’s with nourishing, poison free food through organic. Our book Wealth Per Acre, for which the Forward was written by the Hon Agriculture Minister, Shri Radha Mohan Singh, shows how the negative externalities of farming with poisons are costing the country $1.26 trillion annually. While the literature on biosafety is vast and I was appointed as a member of the expert group on biosafety by UNEP to create the framework for the International Law on Biosafety, two recent publications show that the assumption of safety and “substantial equivalence” is false. One study is from the Norwegian Government, another by an Indian scientist from MIT who invented email. New research is showing that there is no evidence of GMO safety. Research is also showing the falseness of the assumption of substantial equivalence. The GMO story is not one of science, but of an unscientific and illegal takeover of our seeds and food. This is why Bija Swaraj and Anna Swaraj are imperatives to defend india’s freedom and the freedom of our farmers and citizens . No Comments to "Myths of the Green Revolution and GMOs"